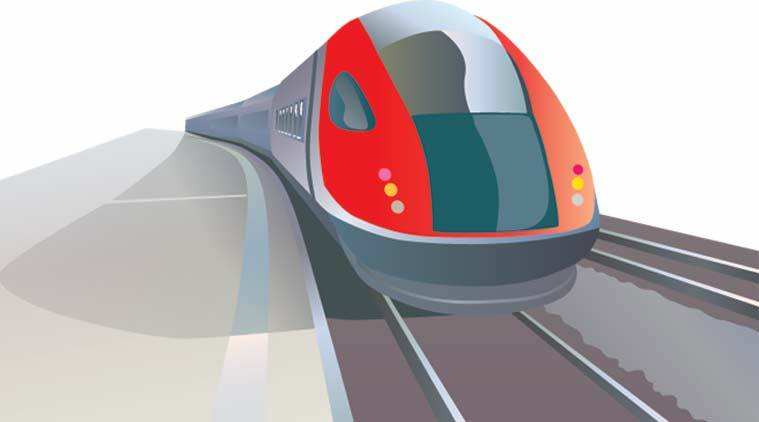 The simulator of the bullet train is being showcased at the summit at a time when the Government of India and the Government of Gujarat are in the process of acquiring land for the Ahmedabad-Mumbai bullet train project. A “bullet train simulator” and a replica of Statue of Unity (SoU) are expected to attract eyeballs at the Vibrant Gujarat Global Trade Show, 2019, which will be held alongside the Vibrant Gujarat summit next month. “The National High Speed Rail Corporation Limited (NHSRCL) will be bringing the bullet train simulator for the Vibrant Summit. It will be set up at the Vibrant Gujarat Trade show,” S J Haider, Principal Secretary Tourism, told The Indian Express. Earlier, while addressing mediapersons, Haider said that the bullet train simulator will be kept at a special enclosure of 400-500 square metres at the trade show to be held at the exhibition ground in Gandhinagar, which will be opened only for the delegates and participants from January 18-20, 2018. It will be thrown open to public from January 20 to January 22. “A replica of the Statue of Unity will also be kept at the Trade Show,” Haider added. Apart from this, a fashion show will be held in association with the Gujarat Chamber of Commerce and Industry (GCCI) at the Sabarmati Riverfront on the evening of January 19. Other highlights of the show include a display of innovation and technology, particularly robotics and laser cutting. The trade show will also have country pavilions of 15 partner countries – Canada, France, Japan, Poland, South Korea, Thailand, Netherlands, UAE, South Africa, Sweden, Uzbekistan, Czech Republic, Norway, Australia and Morocco. The pavilions of the United States and United Kingdom will be absent from the trade show after they withdrew as “country partners” from the event. “About 80 per cent of the space at the trade show has been booked,” said Haider. The event will also have pavilions on automobiles and e-mobility, start-ups and innovation, textiles, water treatment and environment, among others. Pavilion on flagship initiatives overnment of India including, Make in India, Digital India, Start-up India, Sagarmala, Ayushman Bharat and Indradhanush, will also be present at the exhibition. The trade show will also have buyer-seller meets and a vendor development programme.